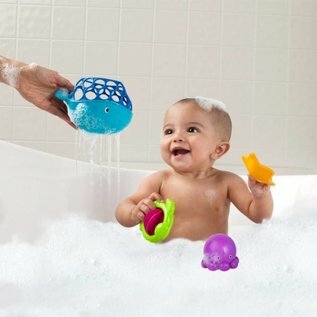 It's a whale of a good time for baby's bath! Oball™ Tubby Scoop Friends™ feature the world-famous, easy-to-grasp Oball design that's easy for little fingers to pick up. 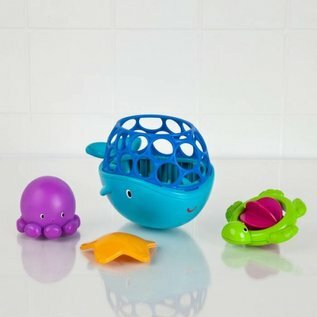 This little whale is tons of fun as baby scoops, pours and spills water out of the geometric holes. The whale is joined by fun bath time friends including a sink and strain starfish, a turtle with a paddling shell, and an octopus that squirts. Those signature Oball holes aren't just fun to pick up, they're perfect water toys, as they allow for easy drainage. It's a brand new way to splash and play from Oball!